"So far, this is not much of a new life." That people are willing to risk their lives trying should give you some indication of just how bad their situations are. We hear stories of treks on crammed jeeps, indeed even on foot, through the searing heat of the deserts and overloaded cargo ships to Europe organised at great expense by people traffickers, but I don't think we can actually understand what is really involved in undertaking such an arduous, dangerous journey. To be those people so desperate to change their lives that they are willing to put them at such extreme, sustained risk. Even if those new lives aren't exactly what they expected, or wanted. 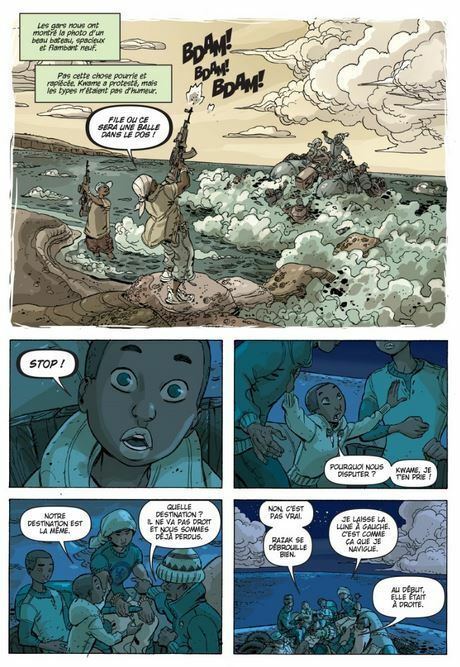 Please see Olivier Kugler's ESCAPING WARS AND WAVES and Kate Evans's THREADS: FROM THE REFUGEE CRISIS first-hand accounts for some of these individuals' lives. 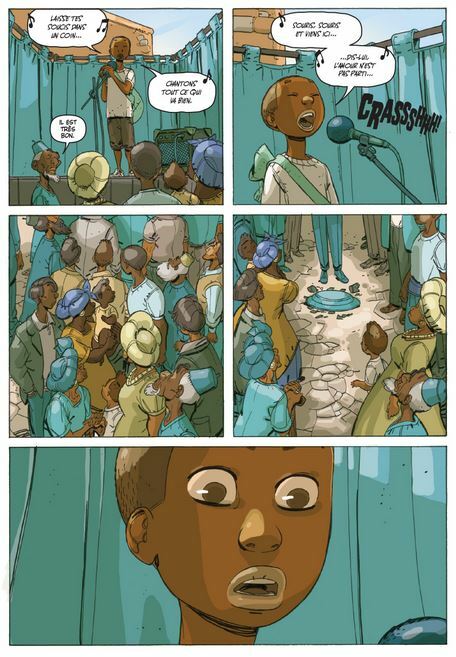 "This is a powerful and timely story about one boy's epic journey across Africa to Europe, a graphic novel for all children with glorious colour artwork throughout. 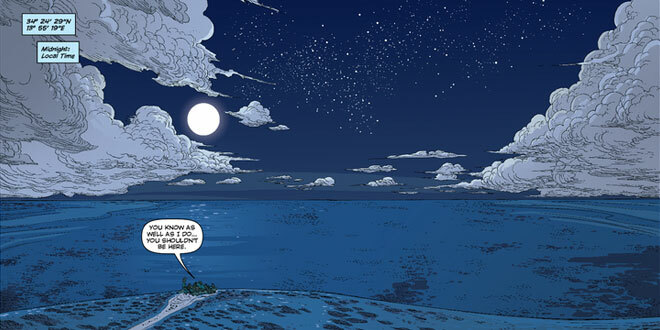 From Eoin Colfer, previously Irish Children's Laureate, and the team behind his bestselling Artemis Fowl graphic novels. Ebo: alone. But with every step he holds on to his hope for a new life, and a reunion with his sister. 'A powerful, compelling work, evocatively illustrated ... It would take a hard heart not to be moved by this book.' Financial Times"
It's difficult to know what to add, really. I can only suggest picking up this work, having a look for yourself, and I suspect if you have any soul at all, you'll be entranced and appalled in equal measures. 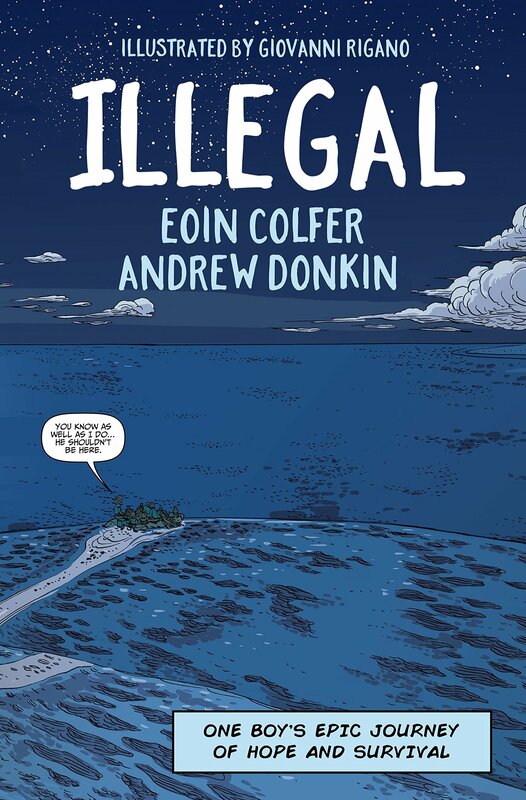 It's sensitive and intelligent writing from Eoin Colfer and Andrew Donkin, who put poor young Ebo and his older brother through hazardous situation after situation. It's never sensationalist or hyperbolic in tone, instead focussing on capturing the humanity of the people who undertake these odysseys.